Huub Rijnaarts is professor in Environment and Water Technology at the sub-department of Environmental Technology of Wageningen University, director of the Wageningen institute for Environmental and Climate research (WIMEK), member of the board of Deltares and member of the board of the Institute for Advanced Metropolitan Solutions (AMS). 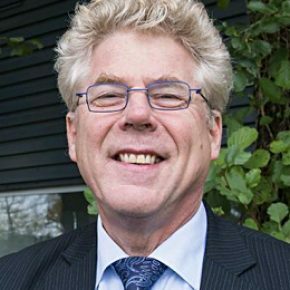 He received his PhD (1994) through research on microbial adhesion on solid surfaces and biodegradation of halogenated compounds in groundwater and soils, which he conducted at Wageningen University. Huub Rijnaarts heads multiple research projects focusing on water technology, resource recovery and creating resilient cities.